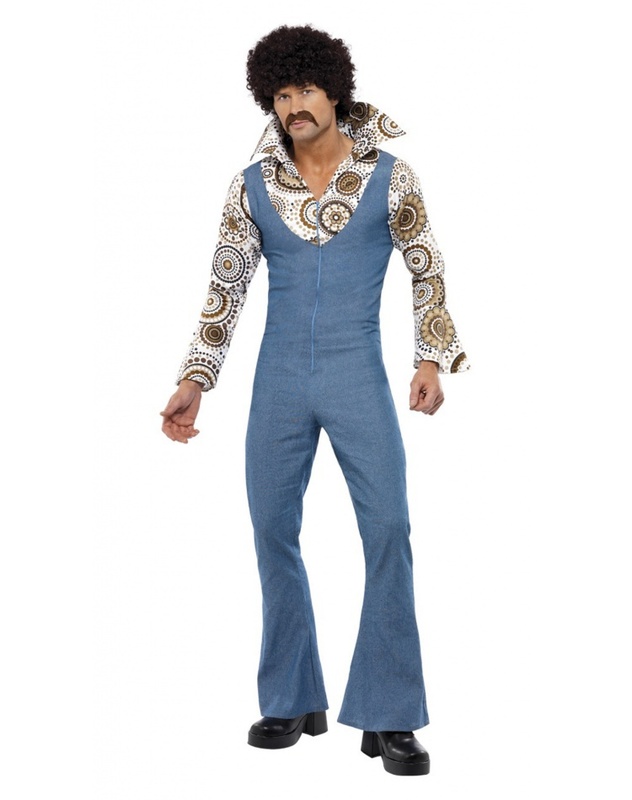 This whacky disco costume for men includes a blue zipper front jumpsuit with attached mock shirt. This disco costume comes in adult sizes Medium, X-Large, Large. 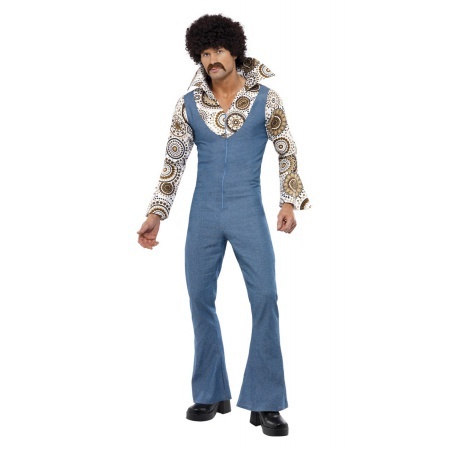 The afro wig is available separately from this 70's disco costume.